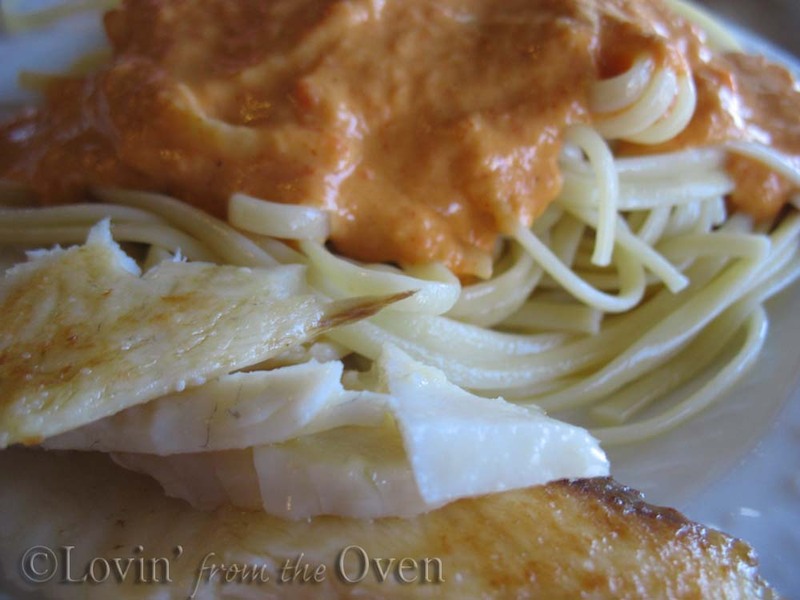 A friend of mine told me that she ordered pasta with a red pepper cream sauce that was "to die for." That sounds spicy, I told her. "No, not at all. It's made with red bell peppers, and they are sweet." I hunted for a recipe and found one on the Food Network. Though the recipe doesn't call for roasted red bell peppers, I thought, why not? 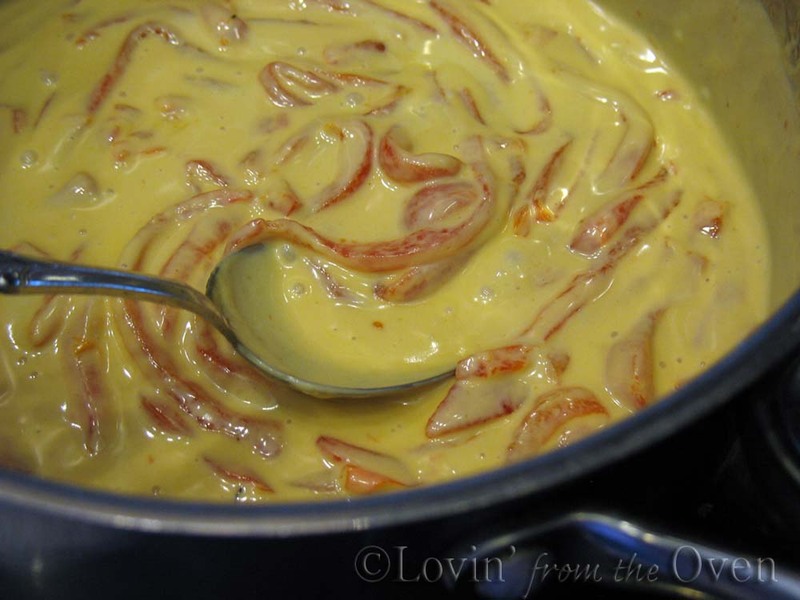 I combined the peppers and heavy cream in a heavy bottomed pot. You need a pot with a thick bottom to prevent scorching. 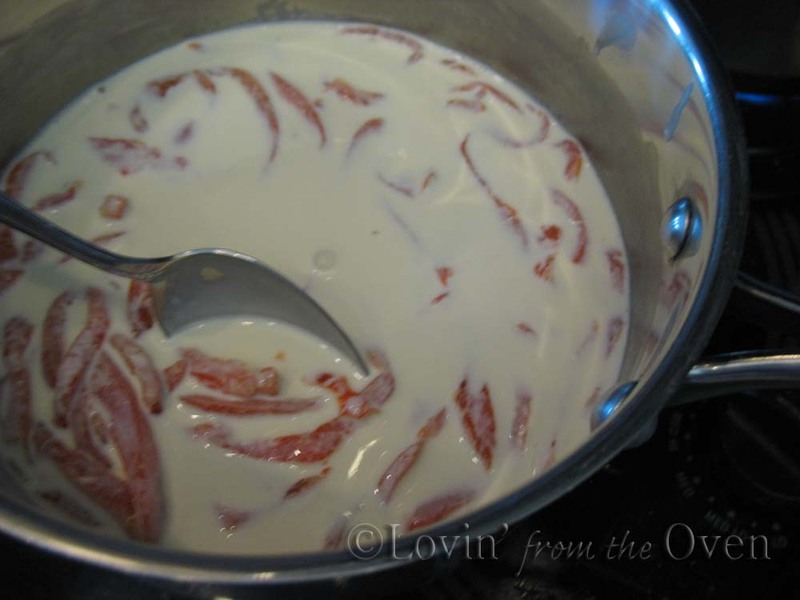 The recipe doesn't say, but I like to stir constantly anytime I'm cooking with milk. I don't want it to burn. After a boil, reduce heat to medium-low and simmer until liquid is reduced by half. Add some paprika, lemon juice, salt, white pepper, and just a teeny pinch of cayenne. Add more cayenne if you like it HOT. 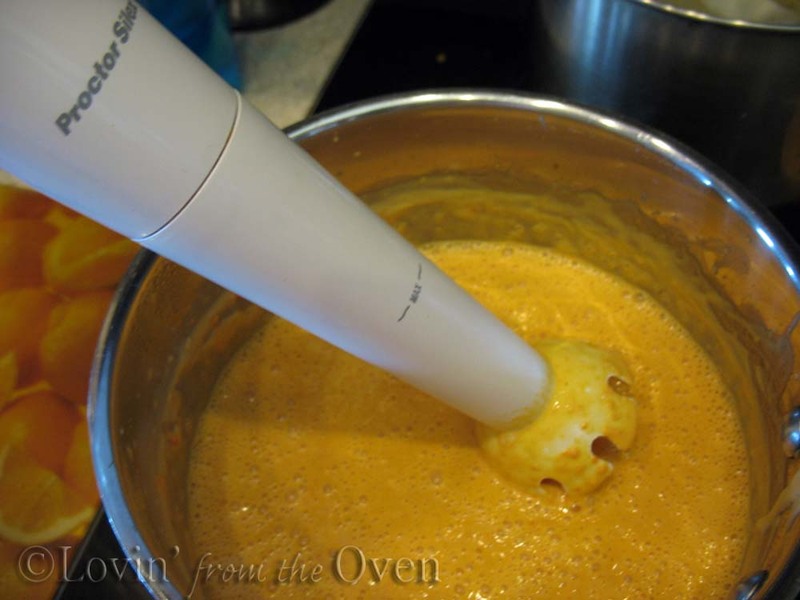 Put into a blender, food processor, or if you're lucky, an immersion blender does the trick. It is so much easier to clean than the other two appliances I mentioned! I served this sauce over some linguini pasta and a side of pan fried tilapia. I took a taste. My hubby took a taste. Creamy. Sweet. Just a little 'kick' in the back of my mouth from the cayenne. Don't forget. My giveaway ends in three days! So..white pepper. Winco doesn't have it in bulk. I can only find it in the premium priced spice brands. Did you find a great deal somewhere? Frieda, I love red bell peppers. 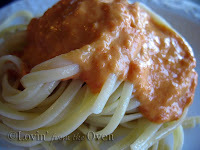 I made The Pioneer Woman's red pepper sauce, and it's easy and delish. This recipe looks just like it. It's great on fish and/or pasta. Nice! I love roasted bell peppers. Your pasta looks amazing. Thanks for the great tutorial and recipe. 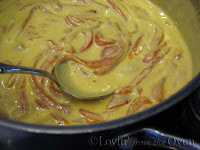 My daughter said I made a red pepper sauce we ate over some ravioli a few years back. I have no memory of it nor have no clue where I even got the recipe from. This looks like it might be what she was referring to. Can't wait to try it!